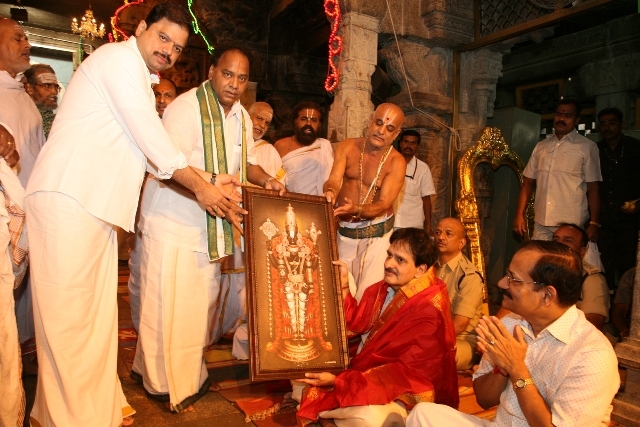 Tirumala, 29 Sep: Director General Of Police of AP Sri Dinesh Reddy offered prayers to the lord Venkateswara on his visit to Tirumala on Sunday morning. 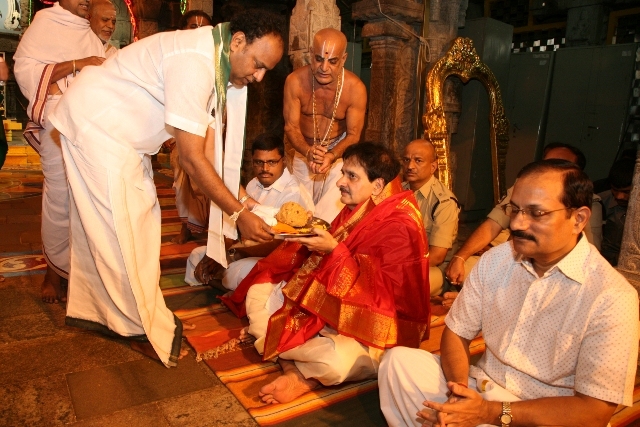 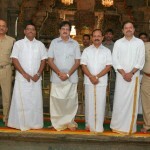 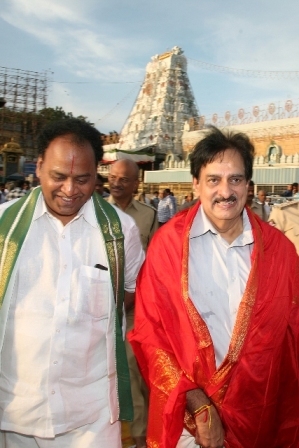 On his arrival in front of Sri Vari Temple the priests and officials have welcomed the DGP. 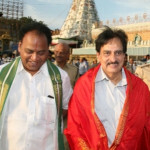 After dharshan of lord, JEO Tml Sri K.S.Sreenivasa Raju has presented Sri Vari Prasadam, the veda pundits of the temple have blessed him with Vedic Hymns at Ranganayakula Mandapam. 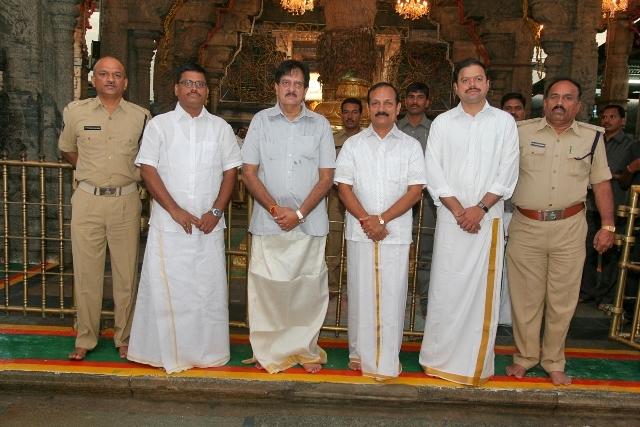 DIG Sri Balakrishna, Supt of Police (Urban) Sri Rajasekhar Babu, Temple DyEO Sri Chinnamgari Ramana, Police Officials, and others were present.